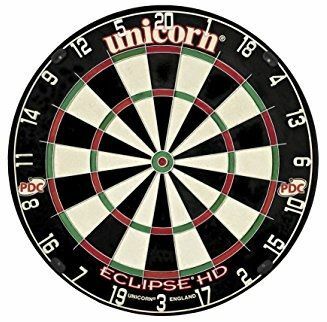 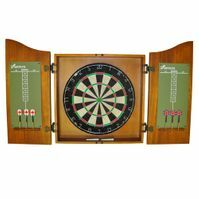 If you need to outfit your rec room, restaurant or bar with some entertainment, then come to Games Galore & The Billiard Store for a selection of games, including dart boards, billiard tables and more. 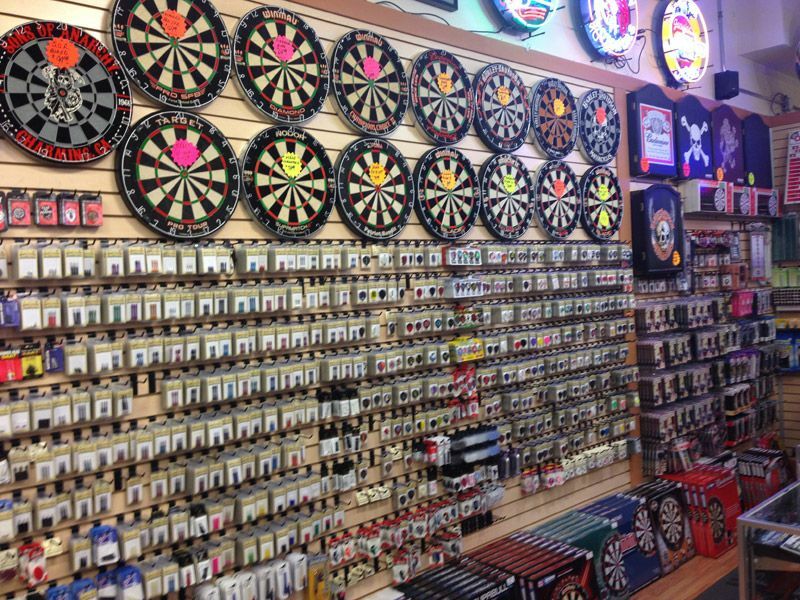 Our darts section is well-stocked with boards, shafts, flights and accessories. 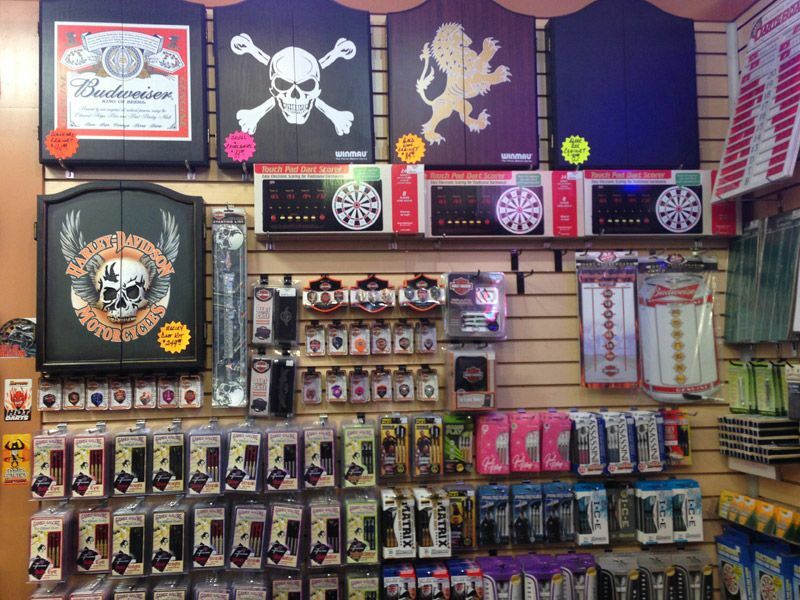 Come check out our dart boards and supplies. 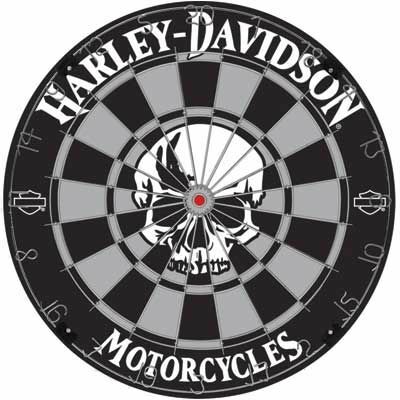 We have a location in Medicine Hat and in Lethbridge. 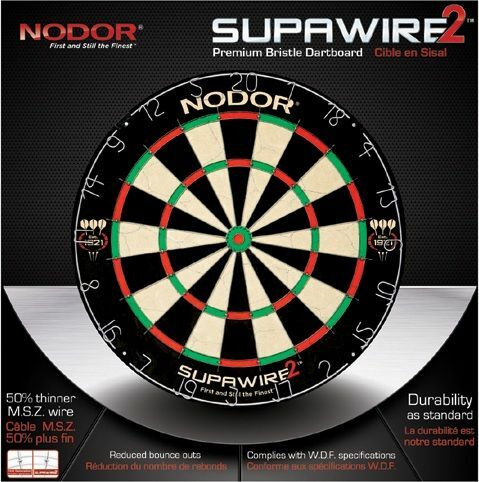 Our darts come in dozens of styles and weights ranging from 18 to 28 grams. 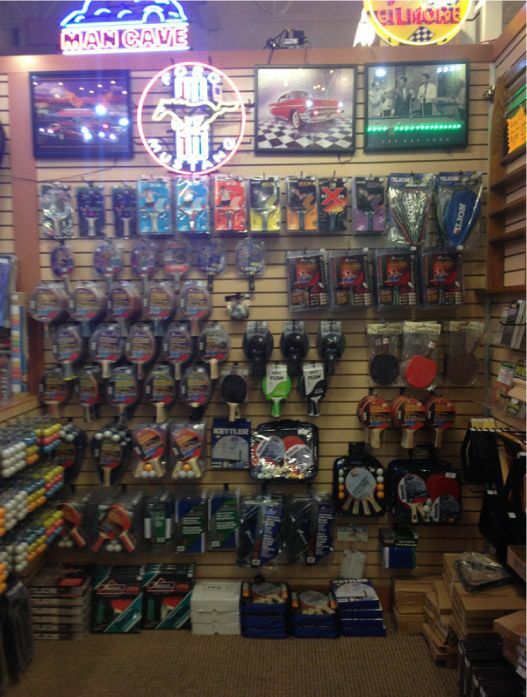 Special weights are also available at request! 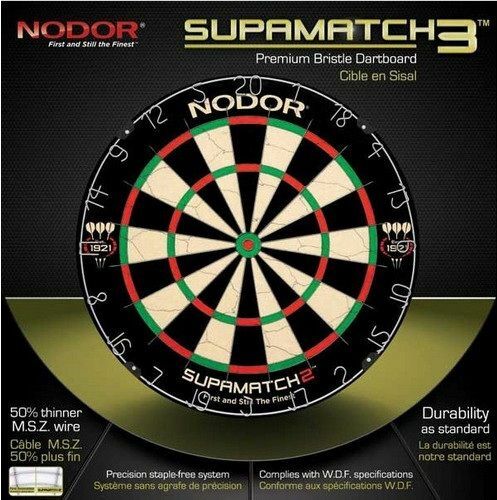 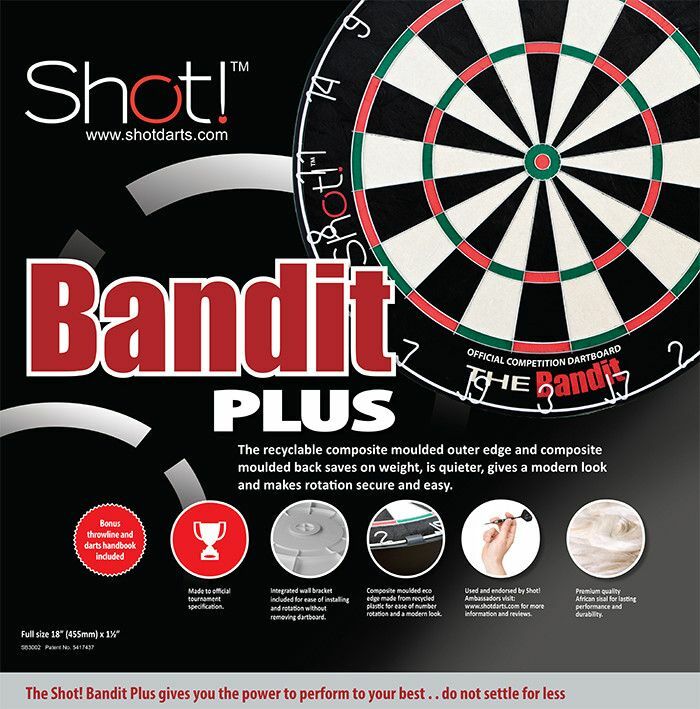 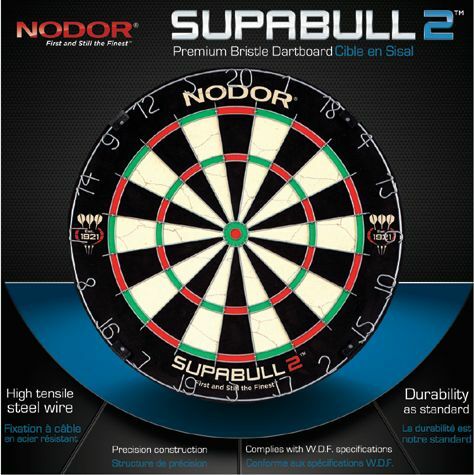 Our dartboards come in a variety of styles for all skill levels. 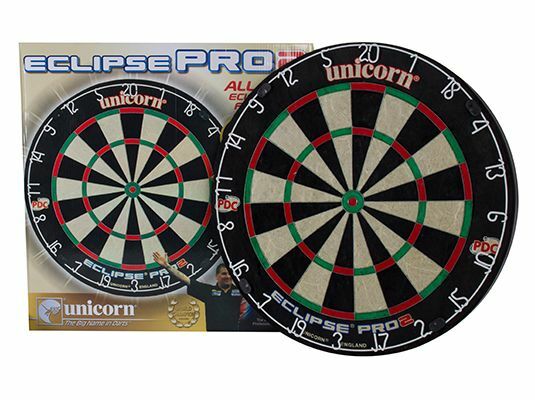 Whether you’re brand new to the sport or a long time pro, we have you covered! 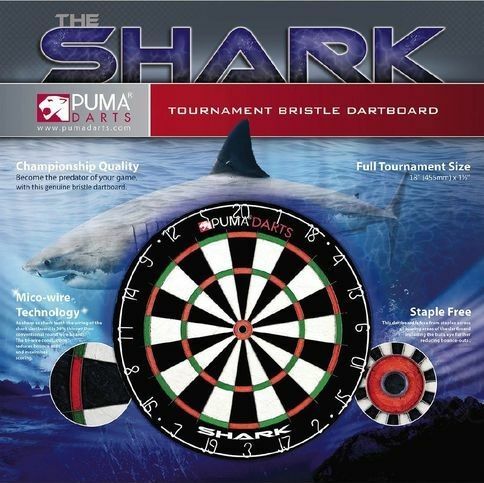 We also carry several dart board packages that include exciting extras to complete your dart game experience! 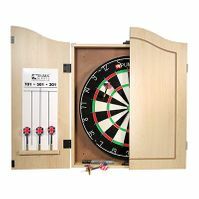 Black Knight Package- We took our popular Black Knight dartboard cabinet and combined it with a blade style dartboard and nickel silver darts to create an amazing dart package at a great price. 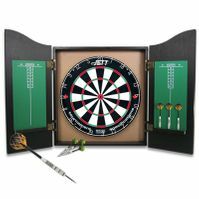 This is a higher end package, and the Jett Micro Edge Technology board is what makes this set stand out above all others. 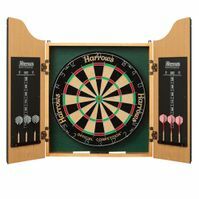 The blade wire low bounce-out board makes this a perfect set for someone serious about playing. 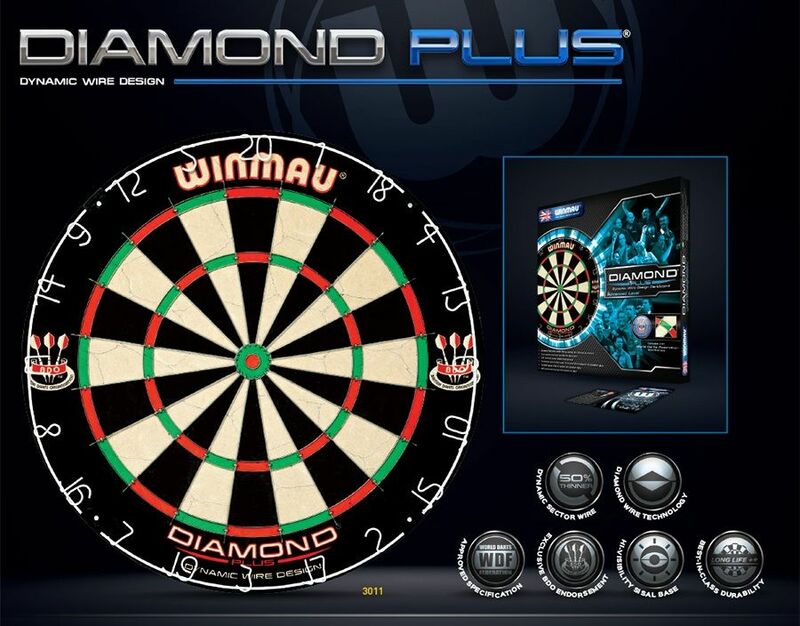 Upgrading the darts to 2 sets of nickel silver sets with cool holographic flights takes it to a whole new level. 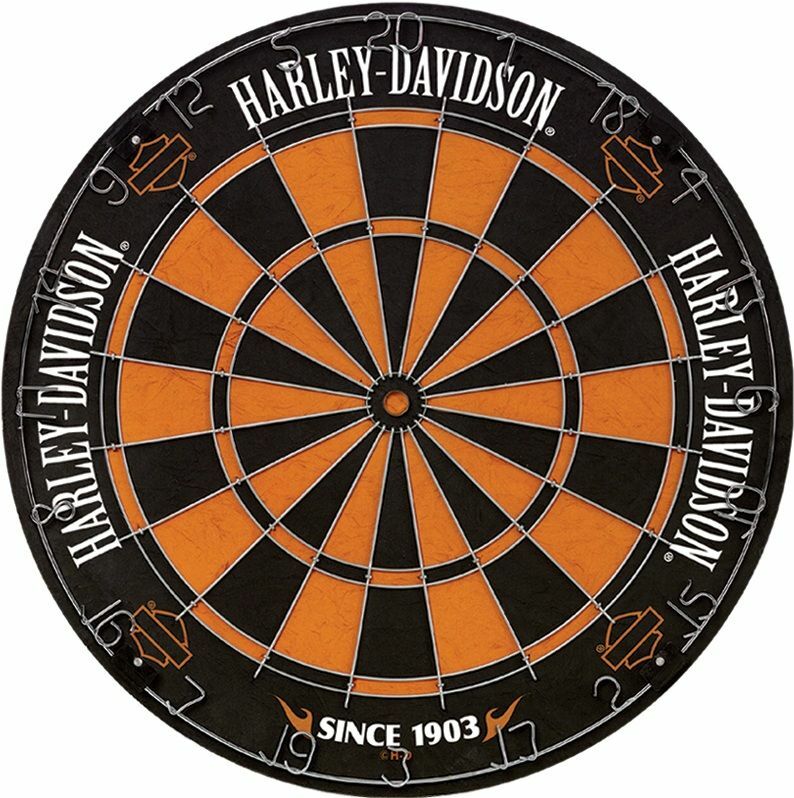 Harley Oil Package - Harley Davidson Dartboard Darts Kit with old school oil can design. 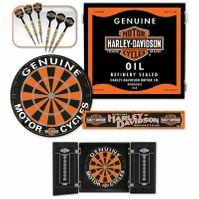 This package features a cool Harley Davidson oil can on the front doors of the cabinet. 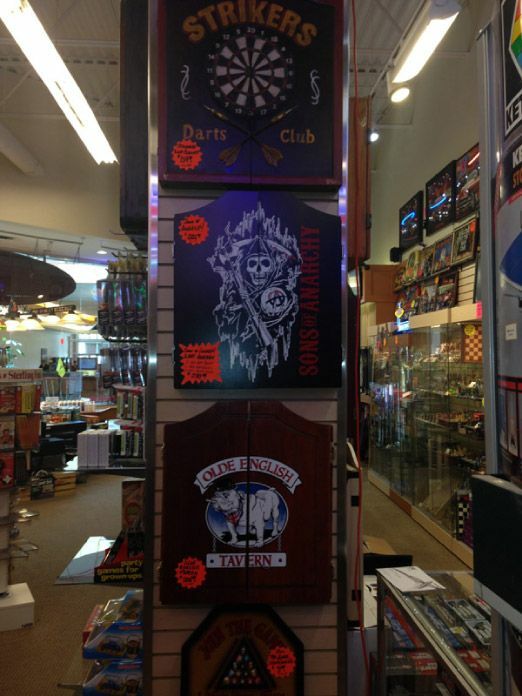 This one-of-a-kind dartboard cabinet is a must-have for your game room. 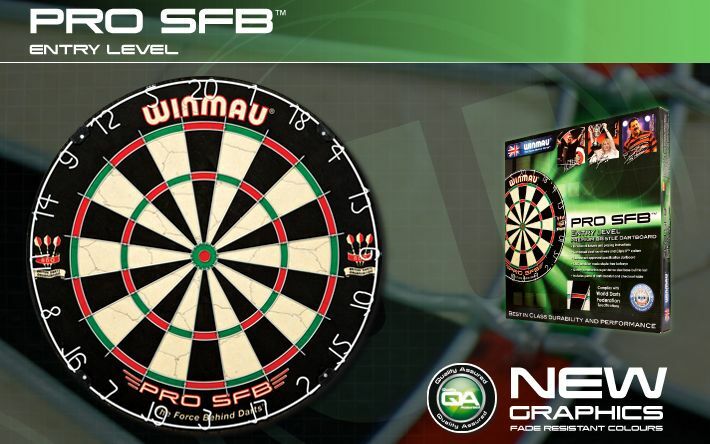 This kit comes with everything you need to play a game. 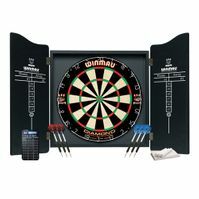 Includes: 1 Harley Davidson dartboard and cabinet, 2 sets of Harley Davidson darts, 1 Throw line, and 2 Scoreboards. 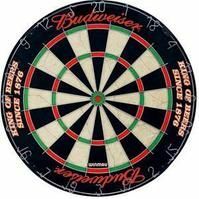 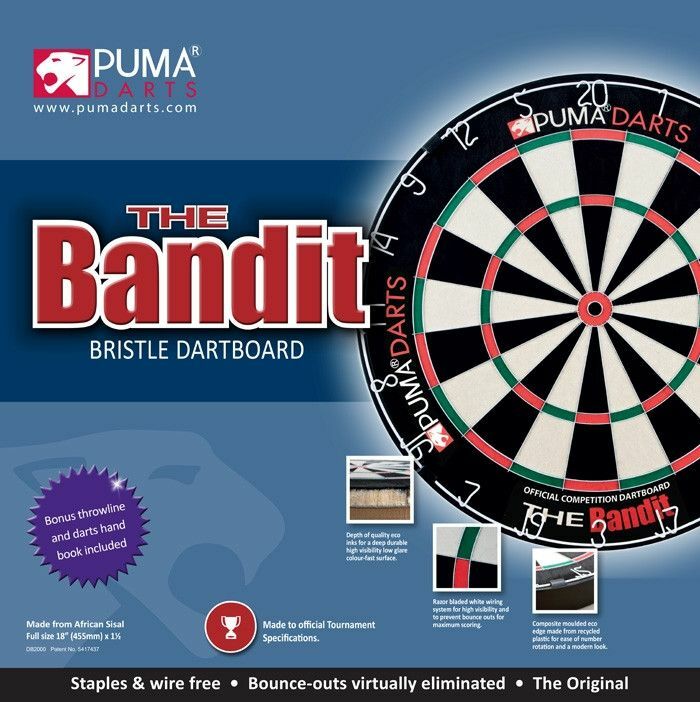 • Quality bristle dartboard 18" x 1"